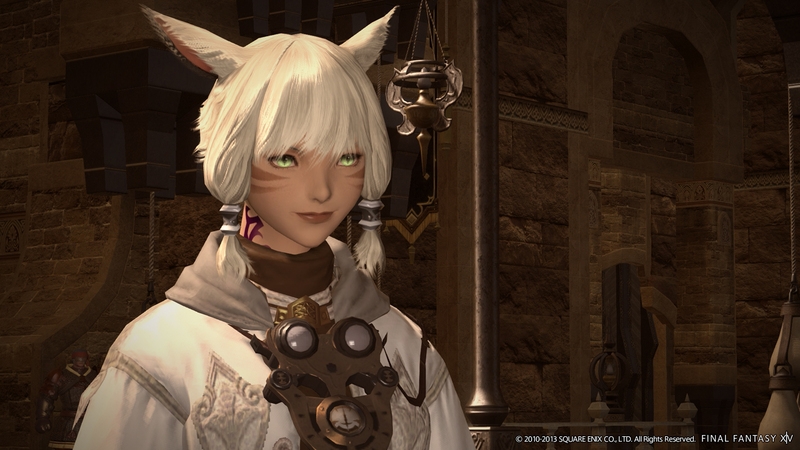 “Minfilia – A woman whose gentle eyes and caring demeanor conceal a steely determination. Amidst the chaos that reigns in the wake of the Calamity, Minfilia seeks to find a hero who will help to usher in an era of enduring peace. She is said to harbor a keen interest in preternatural phenomena. 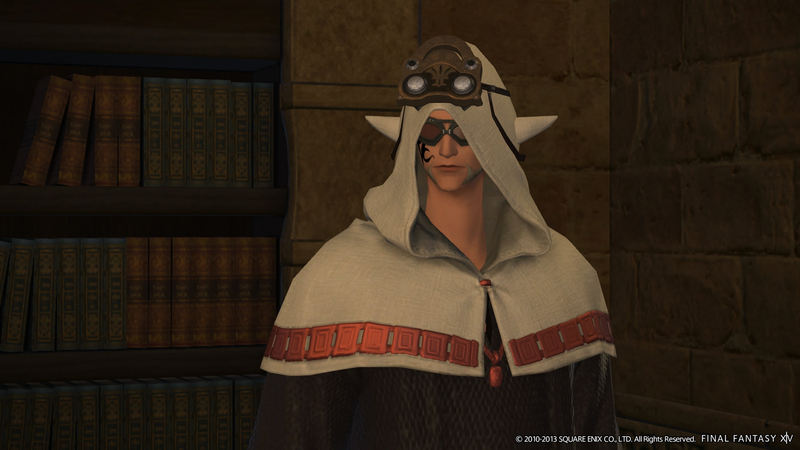 Thancred – A self-professed bard and chaser of dreams, often seen wandering the wilds of Thanalan. Ever the charmer, Thancred never misses an opportunity to woo a lovely lady with verses of adulation. This foppish facade, however, conceals many secrets, not the least of which is his puissant skill with a dagger. Yda – A young woman with the skills of a pugilist, Yda is always seen with her companion, Papalymo, as they go about their enigmatic business in the verdant Black Shroud. Though appearing carefree and almost flippant at times, the depth of her focus is revealed in battle, where she stands ever ready to protect her comrades. Papalymo – This Lalafellin youth wields the powers of a thaumaturge, and is highly knowledgeable in the field of aether. 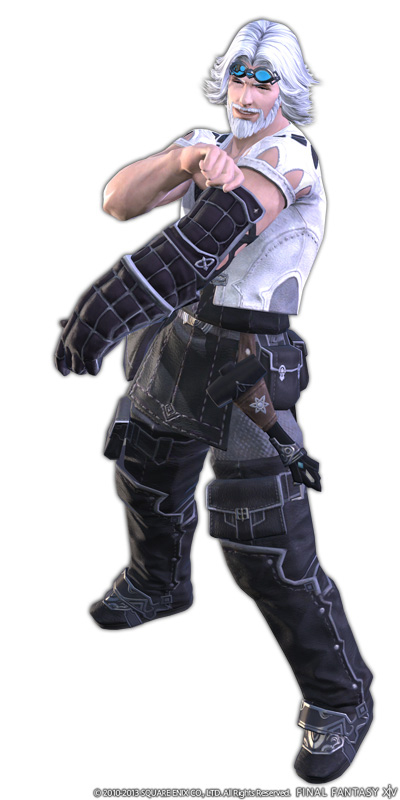 Papalymo’s childlike features, typical of his race, bely a biting cynicism that often puts him at odds with the perpetually cheerful Yda, the companion with whom he roves the Black Shroud. Y’shtola – This beautiful and enigmatic Miqo’te is often seen wandering the lands of La Noscea. Her mastery of the arcane arts and conversance with ancient tongues mark her as far more than a simple traveler. Louisoix – The wise and wizened former leader of the Circle of Knowing, a fellowship of learned individuals hailing from the far-northern island nation of Sharlayan. In seeking to forestall the calamitous arrival of the Seventh Umbral Era, Louisoix invoked the power of the Twelve, Eorzea’s pantheon of guardian deities. Alas, he disappeared amidst a blinding light following the ritual, and has not been seen or heard from since. 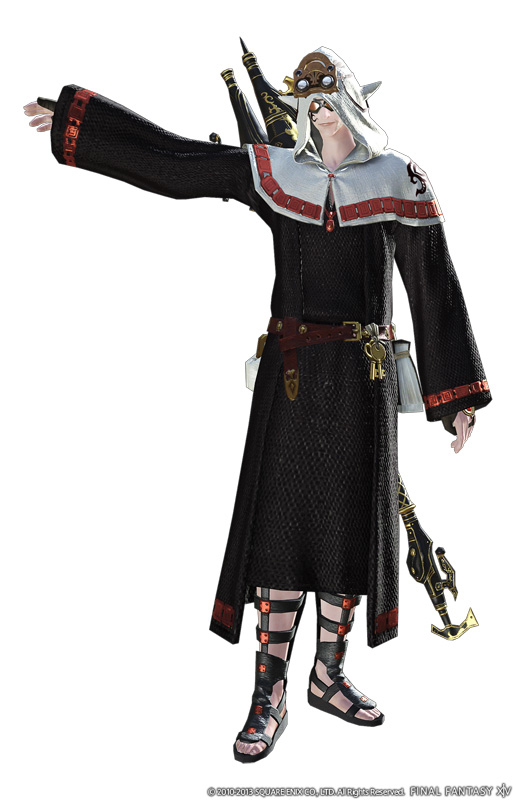 Urianger – An Elezen sage and scholar of prophetic teachings, Urianger was one of the first to draw the attention of Eorzeans to the peril of the Seventh Umbral Era. Formerly of the Circle of Knowing, he is infamous among adventures for the guidance he proffers via his cryptic utterances. 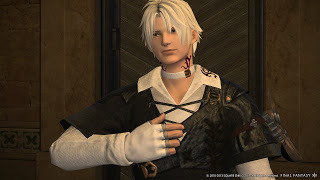 Alphinaud & Alisaie – A self-assured young man and his strong-willed twin sister, recently come to Eorzea in pursuit of an unknown agenda. In spite of their tender years, the two carry themselves with an air of unwavering purpose.